I hope you are all have a fabulous day. So today I have decided to share with you all the 2 books I am going to be reading this month (well what is left of it haha). Synopsis:When Thomas wakes up in the lift, the only thing he can remember is his first name. His memory is blank. But he's not alone. 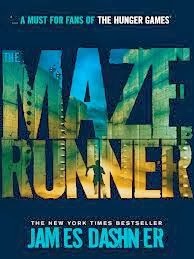 When the lift's doors open, Thomas finds himself surrounded by kids who welcome him to the Glade-a large, open expanse surrounded by stone walls. I am quite excited to start this, I bought it a few days ago because I have heard such great things about it and all the reviews on goodreads seem to be pretty positive so I thought I'd pick it up and give it a try. There is also the movie coming out in September, so I wanted to read this before that came out. I love the cover art, and the synopsis seems very interesting. I really enjoy dystopian novels so I hope that this is just as good as books like The Hunger Games and Divergent series. Synopsis:Ash and Natalie are just starting to build a life together when things in the United Sentry States go from bad to worse. Ash and Natalie find themselves at the center of turmoil when dictator Purian Rose threatens Natalie’s life unless Ash votes in favor of Rose’s Law—a law that will send Darklings and other dissenters to a deadly concentration camp known as the Tenth. 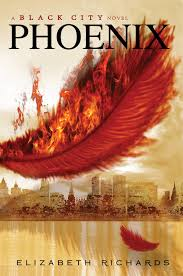 I read Black city about a two months ago, I thought it was pretty good so I've decided to download Phoenix and pick up where the story left off. I would recommend Black City to those of you who like vampire novels, its nothing like Twilight or Vampire Academy so it has a very different vibe to it. I'm not one to read a lot of vampire novels but there are a few that I like, and Black City was one I didn't mind. There were some parts of it that I didn't like too much but I've decided to give it a second chance. Review to come soon. I loved Pheonix and hope you do too!